The HVAC For Beginners website is presented as a free information source (http://www.what-is-hvac.co).A basic explanation of facility management, technical support and a job descriptions for personnel involved is offered. Also offered is a basic explanation of electrical supply to a facility or building. Most of the information which is offered in more detail has to do with building mechanical systems. 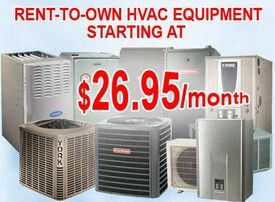 HVAC is an acronym for heating, ventilating and air conditioning. These basics are for the benefit of nontechnical people and information is presented in easily understood layman terms. It is suggested that you bookmark or save this site as a favourite and visit it as required. These systems are the mechanical systems that provide heating, ventilating and air conditioning for the office buildings, industrial buildings, apartment buildings, hospitals and any other facility we work in or visit. This website is written for the people who know which end of a screwdriver is the working bit and how to start a lawn mower and a snow blower without injuring themselves or others. I have always enjoyed entering a building that was not comfortable and that everybody else had a “kick at the cat”. Performing hands on tests, I would then table a report identifying the problems and present a suggested plan of action to correct the problems. If you understand the basics of how the system is to work, prove how it does work, it is easy to suggest how to correct existing problems. The HVAC for beginners information is presented in sections, with each section covering a particular portion of the mechanical system. Each section, outlines in general the characteristics of operation of the equipment.